Create, deliver and monetize rich content and applications for virtually any screen. The suite now supports Mobile Development for Android, BlackBerry Tablet OS and iOS using technologies such as Flash, AIR and HTML5. It also includes advances in Digital Publishing to produce rich interactive publications, especially for tablet devices. This is intended to complement the Adobe Digital Publishing Suite. Integrating tablets into creative workflows. Adobe released the Adobe Photoshop Touch Software Development Kit (SDK) to allow developers to create tablets and phone based applications to interact with Photoshop. Adobe also announced three new iPad applications that demonstrate the creative possibilities of using tablets to drive common Photoshop workflows – Adobe Color Lava for Photoshop, Adobe Eazel for Photoshop and Adobe Nav for Photoshop. Adding powerful new video capabilities. The revised Production Premium suite delivers breakthrough performance, workflow improvements, creative innovations and powerful new audio editing capabilities. * New product or significant product upgrade introduced by Creative Suite 5.5. Demonstrations of some of these added or changed features can be found on Adobe TV. Other applications in the Creative Suite may have received updates (for example, Adobe Photoshop) but these were not explicitly tied to the CS 5.5 release. These updates should also be made available to existing CS 5 customers through the standard Adobe Updates feature. And other products might not have received an update at all. Suites and individual products that are tied to the CS 5.5 release will be chargeable upgrades even for existing CS 5 users, though there are some exceptions. Adobe also introduced a subscription plan as part of this mid-cycle release, something they have been trialling in Australia over the past year and are now rolling out to the rest of their user base. To give an idea of how this works I’ve taken pricing information from the Australian Adobe Store and calculated the financial outlay required to keep current with the Master Collection suite, or the individual Photoshop Extended product, over an arbitrary 5 year period. These calculations assume the costs on the Adobe store stay relatively consistent over the period and the products of interest receive updates twice per cycle (i.e. both mid cycle and major version updates). As can be seen below users that intend to stay current with the latest release can really benefit from subscription plans, particularly when they are using individual products rather than the whole suite. Please keep in mind that not every individual product will receive a significant mid-cycle release (more on that later) so depending on the product chosen the subscription versus outright purchase expenditure crossover point may be earlier than indicated below. **** Subscriptions types refer to the length of commitment to the subscription. All subscriptions are charged monthly. To further illustrate this point we’ll consider two scenarios to see how regular upgrades might play out in future. The traditional photographer, and by that I mean a photographer who is solely interested in creating and publishing still images, may require only the Adobe Photoshop product from the Creative Suite. They would make limited use of other products included in the suite offerings so the individual product should prove sufficient for their purposes. If they aren’t currently a Photoshop user, or are using an earlier version of Photoshop (e.g. CS4), then the tablet features, subscription plan or even the many headline features included in the previous CS5 release might be sufficient to encourage them to purchase or upgrade now If they are already using Photoshop CS5 it is highly unlikely they will upgrade at this point in time. The Adobe Photoshop CS5.1 version supplied with CS 5.5 is effectively the same as the upcoming 12.0.4 Photoshop version, except for the addition of the subscription plan facility. Both will support the new Adobe Photoshop Touch SDK and iPad applications being released in May. Both will support the Camera Raw 6 plugin updates that will be made available through the remainder of the CS 5 release cycle. 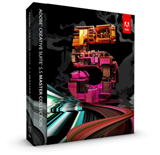 As such there is no real reason for an Adobe Photoshop CS5 user to upgrade to CS 5.5 unless they wish to do so as part of a cross-grade to one of the suite offerings. This skews the version cost comparison chart above and dilutes the financial component of the business case for using a subscription plan on an individual product purchase. It also demonstrates an ongoing challenge Adobe will have – managing the pressure to keep subscription plan users happy by releasing new major or mid-cycle versions of every product, every year. By contrast a contemporary photographer, and by that I mean a photographer who is interested not only in still images but video and/or publishing as well, is much more likely to be interested in purchasing one of the suite offerings instead of individual Adobe Creative Suite products. A number of well known photographers such as Chase Jarvis and David duChemin have chosen to expand beyond the traditional photographer paradigm to build their brands and business. Whether they are writing books , producing mobile apps, self publishing ebooks, or using video to provide educational offerings, the contemporary photographer is finding it necessary to cross skill into design and/or video production areas they wouldn’t have thought necessary even 5 years ago. This makes the Design Premium, Production Premium or even Master Collection suites more attractive as they only need to buy one box to get all of the tools they need to take on these opportunities. While the Photoshop application itself did not receive a CS5.5 level update this time around, some products in each of the suites did and can be expected to be updated during every Creative Suite release. Design Premium received updates to Acrobat, InDesign, Dreamweaver and Flash products. Production Premium received updates to Flash, After Effects, Premiere Pro and Audition products. These updates make significant improvements to the ability to target multiple output devices with published content, and the performance and results when processing video. These should make CS5.5 a worthy upgrade for anyone who spends significant time in these products even it they are already using CS5. Should you subscribe or purchase outright? So once you have decided to invest in Creative Suite should you subscribe or purchase outright? On paper the financial cutover point where a subscription plan becomes more expensive than an outright purchase is typically between 3 and 4 years. Whether you are willing to invest up front and continually upgrade for that long to save money in the long term is a question only you can answer. What that calculation ignores is subscriptions make access to the more sophisticated Creative Suite offerings approachable and justifiable for those who can’t afford the hefty outlay required to purchase a suite outright. Those who work with Creative Suite for a living might find a subscription plan preferable for tax reasons, so you might want to check with your accountant before making your next upgrade. If nothing else we now have a valuation of the cost of maintaining our tools and this can be factored into our thinking when developing our standard price lists or quoting for the next assignment. A more subjective reason for considering a subscription is it will remove the “do I upgrade or not” decision when the next major or mid-cycle release comes along. Instead of debating whether the features of the latest version provide sufficient value or whether you should skip an update, your ongoing subscription will entitle you to the upgrade and in fact you should immediately upgrade to get maximum value from your investment. While subscriptions for individual products look more attractive than those for suites at the outset, their value can be diluted by those skipped mid-cycle releases that we have seen during the release of CS5.5. The pricing of the subscription plans for the suites may have an earlier cutover point but you can pretty much guarantee that a number of products in the suite will be upgraded every year so they may prove a better deal in the long run. Subscription plans look pretty tempting for those who are preparing to buy into the Creative Suite products now. If you already have made an investment in a previous version their business case begins to dilute because you already have the sunken cost of the original version and you would probably be better off paying for upgrades rather than a subscription. Regardless of whether you choose to take advantage of a subscription plan I think their introduction will ultimately benefit all users. They have encouraged the adoption of a mid-cycle release, removing some of the shackles that impacted Adobe’s time to market with new features in the past. This will help spur on competition in the market and that surely must be a good thing!